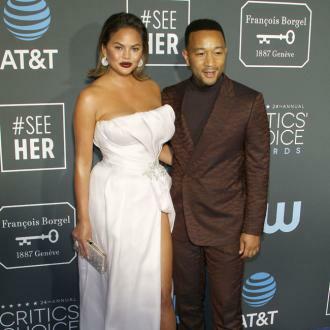 John Legend's Pregnant Wife Chrissy Teigen Narrowly Avoided An Embarrassing Wardrobe Malfunction On Tuesday (20oct15) After Her Pants Split Minutes Before She Was Set To Arrive At A Function. The model wore an asymmetrical Jill Stuart satin top with a pair of wide-leg red pants to the Council of Fashion Designers of America/Vogue Fashion Fund Show and Tea at Los Angeles' Chateau Marmont, and now she reveals her polished red carpet look needed a little unexpected last-minute work. 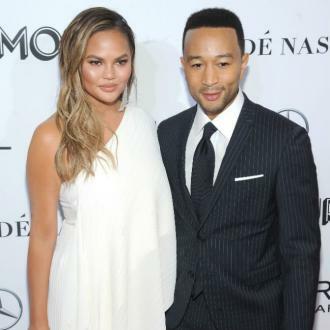 The mum-to-be has shared a side-by-side snap of her flawless look at the event and her outfit at home, where her bulging belly had caused the fly of her trousers to rip. In the accompanying caption, she reveals tailors had to rework her outfit at late notice to help cover up the gaping hole at her groin. 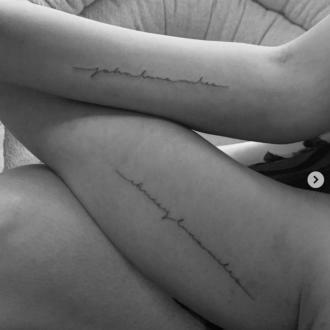 "Tailors are a miraculous thing," she writes on Instagram. "The hem of my pants became my crotch patch. #crotchpatch (sic) #belly thanks for the side by side, mom." Chrissy's wardrobe problem occurred just two days after she marvelled at how large her belly had grown since announcing her pregnancy. "Somebody is early to the party", she commented alongside her first side profile of her baby bulge on Sunday (18Oct15). 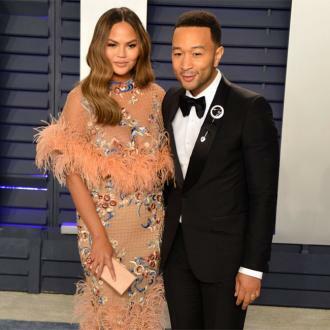 However, the sweet snap prompted some social media critics to weigh in on her large size, insisting she must be having twins - a suggestion Chrissy immediately shut down. "Good thing I am unoffendable (sic) or this would be a rough few months...," she tweeted. "I did IVF (in vitro fertilisation). One (baby) at a time. It isn't twins. I can see the damn thing."